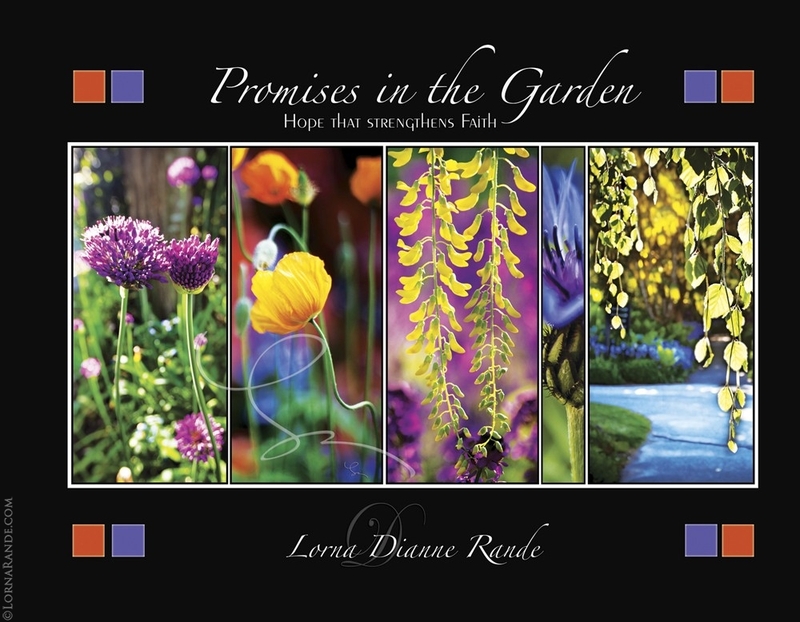 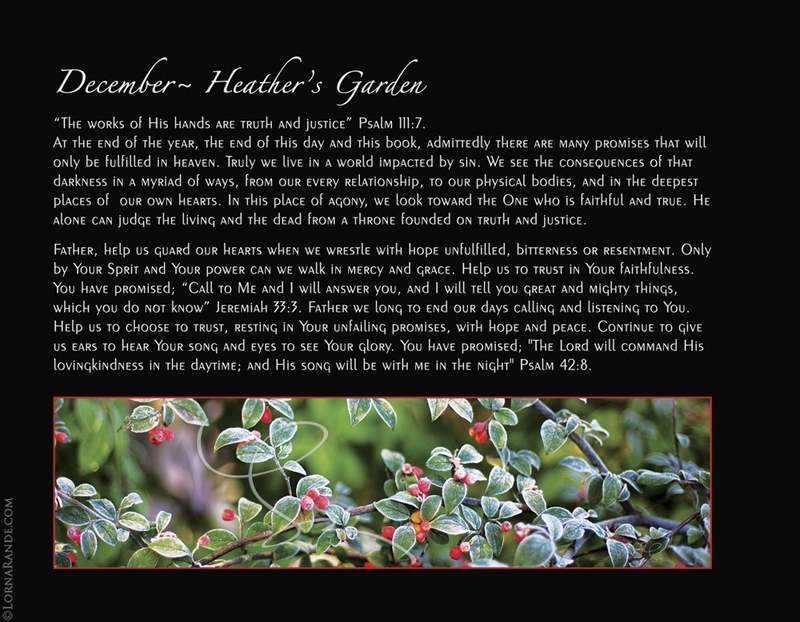 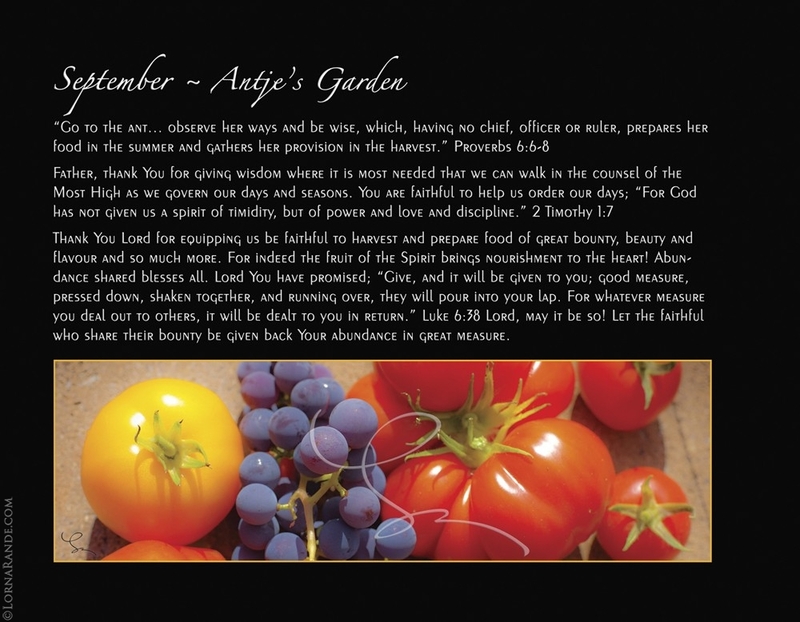 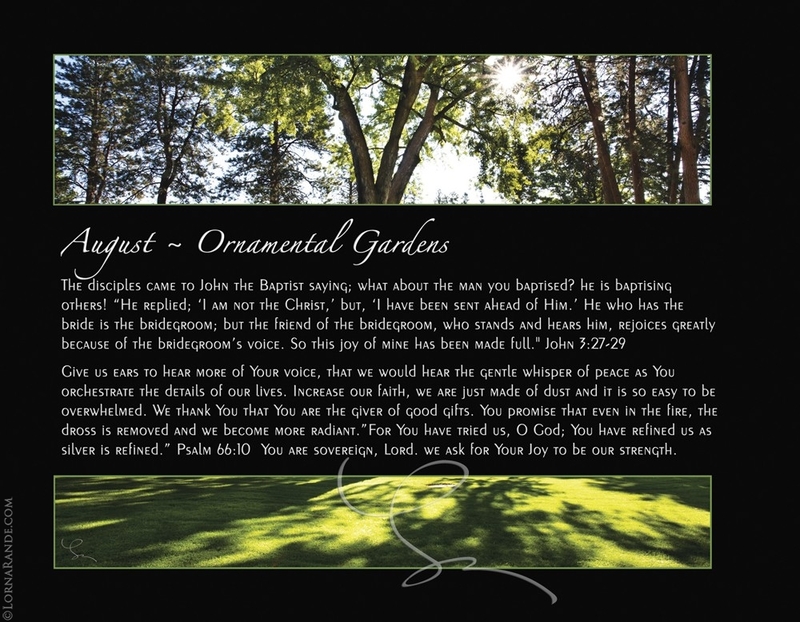 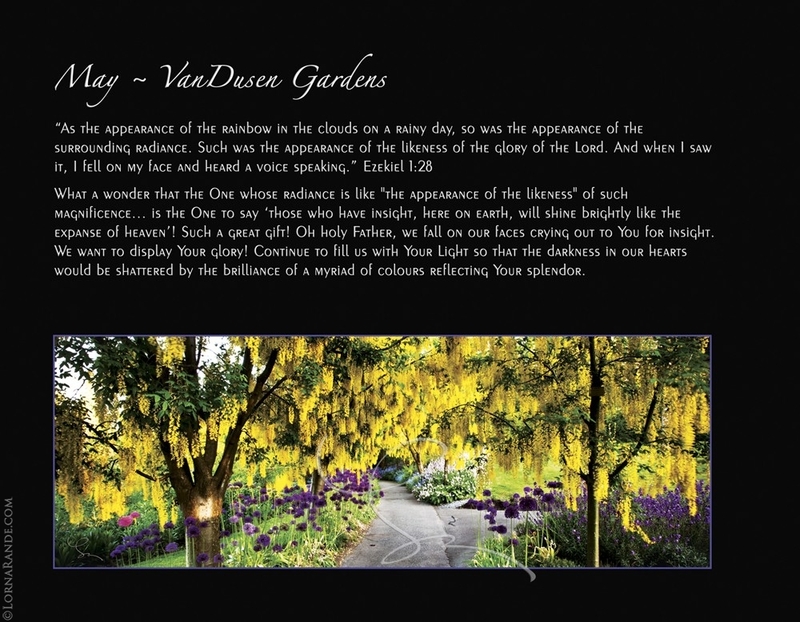 “Promises in the Garden” is a book Lorna was commissioned to write. 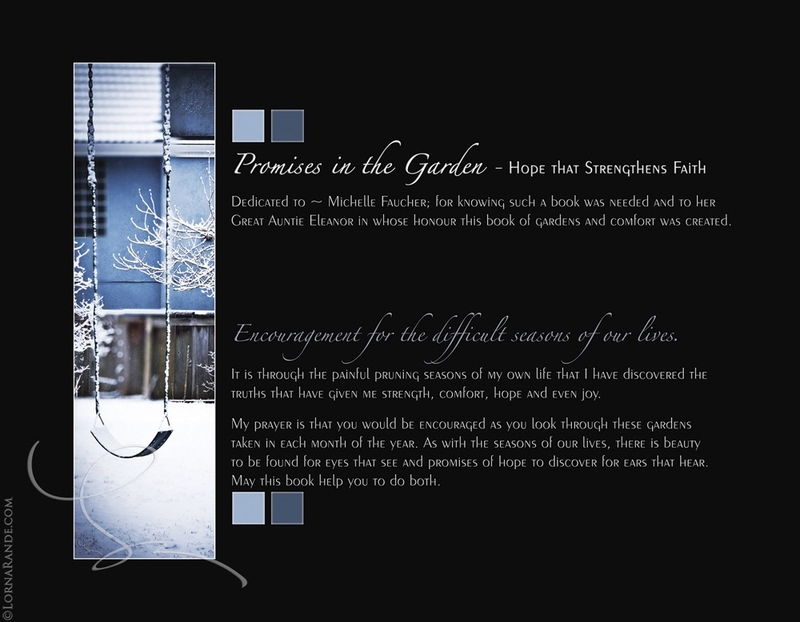 The goal of the book was to uplift the spirits of a specific individual. 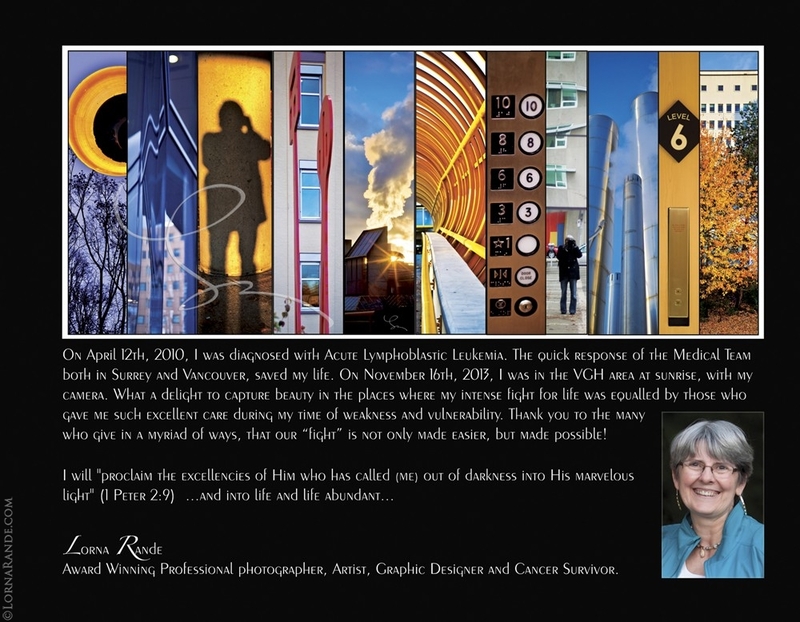 Lorna Rande’s creative and photographic talents have led her to create many other commissioned projects such as; wedding invitations, graduation projects, birthday gifts, wedding vows, cd covers, retirement gifts and other commissioned projects. 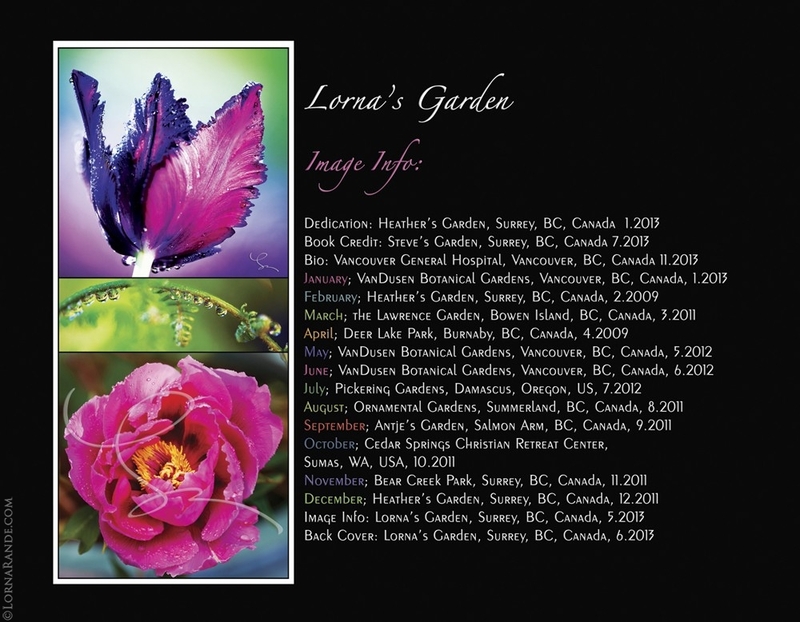 If you have a project in mind, please contact Lorna Rande directly at imagery4u@shaw.ca to discuss further. 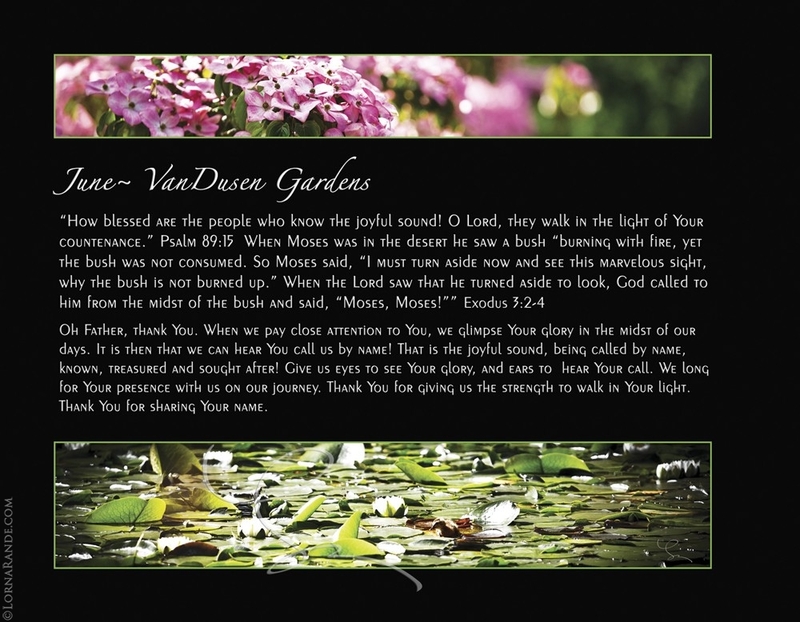 Lorna was asked by a dear friend, to write a book of encouragement for a Beloved Aunt, who was diagnosed with cancer. 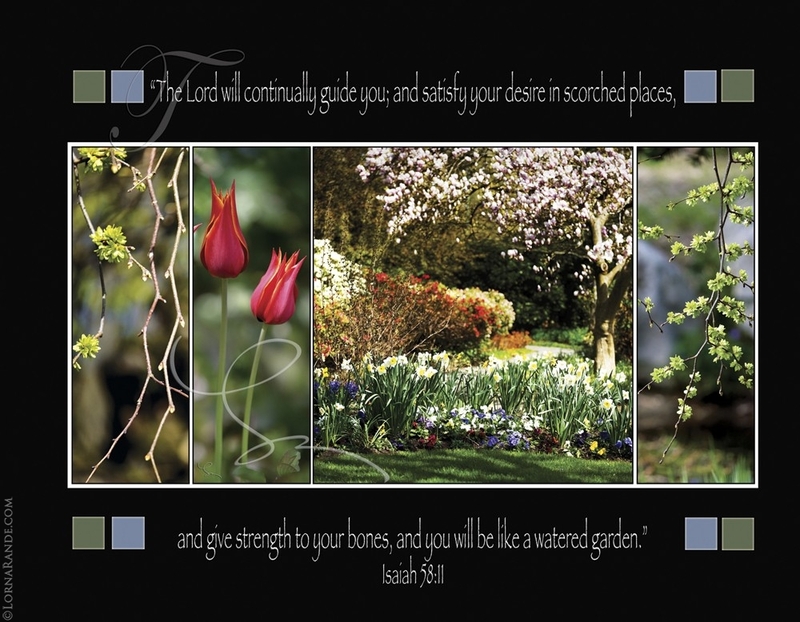 The directive, was that the Aunt loved bible promises, and gardens. 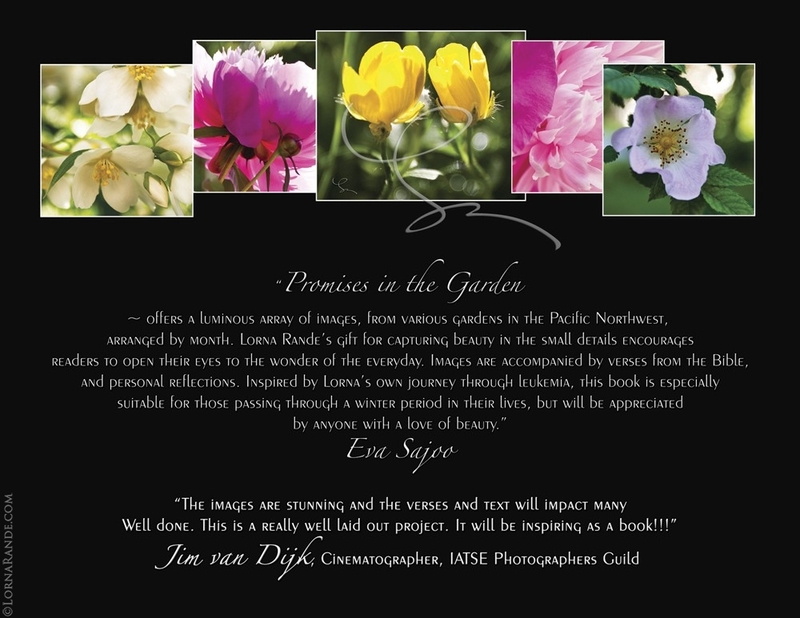 With the understanding that the book would be written for anyone walking a difficult journey, the project began. 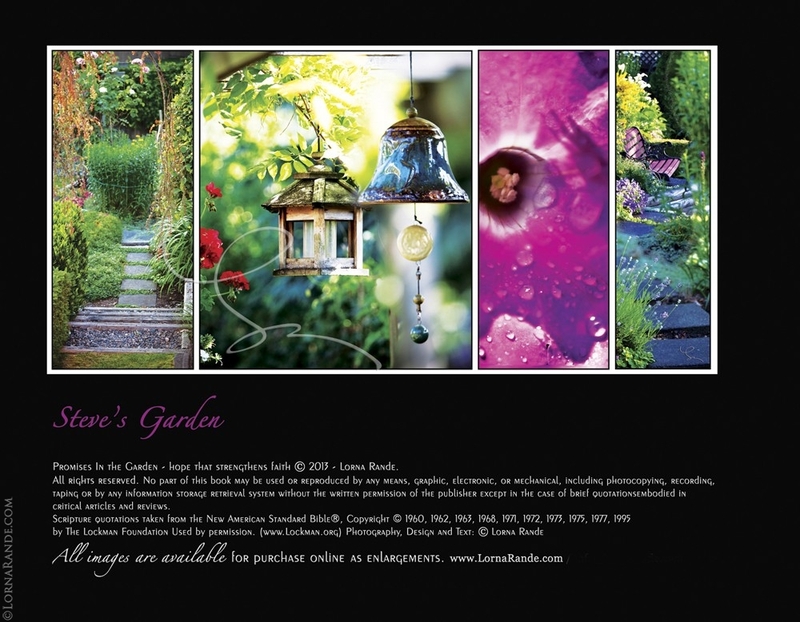 Lorna chose 12 sets of her garden images, each taken in the month they were to represent. 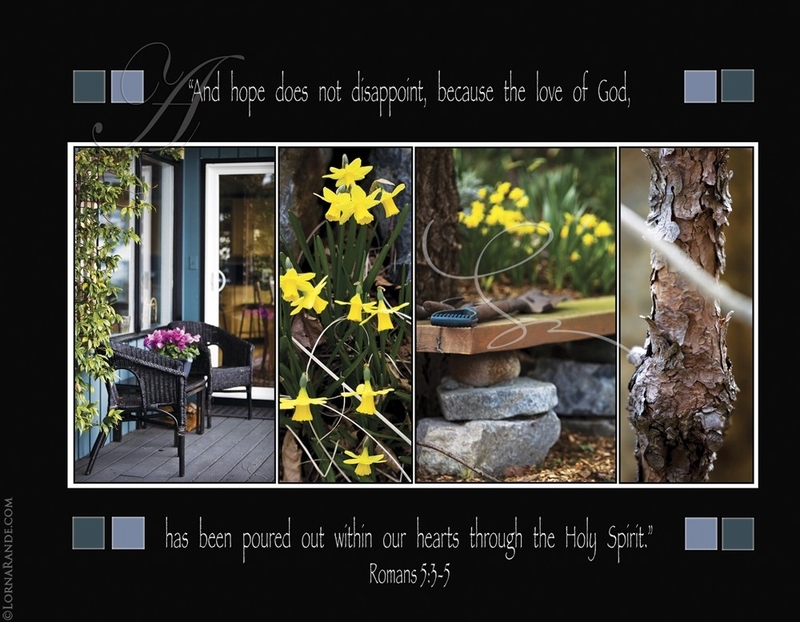 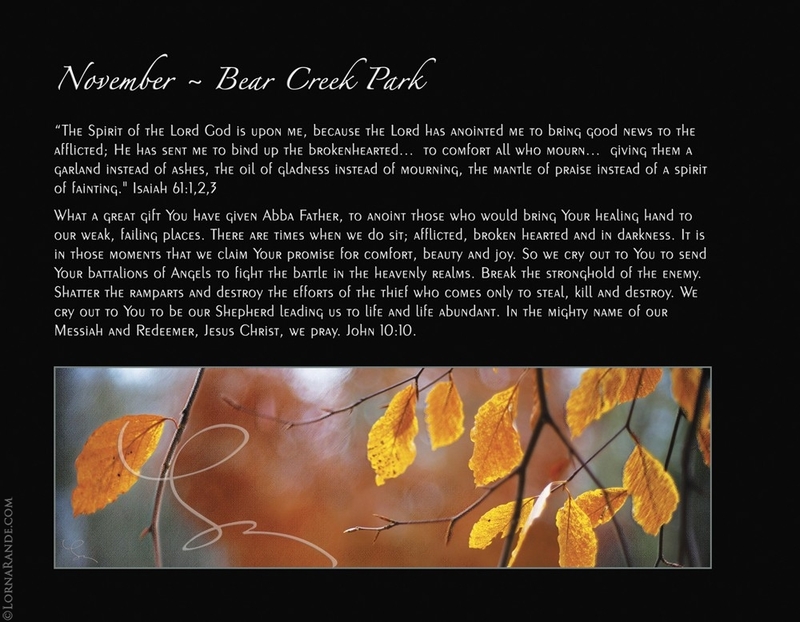 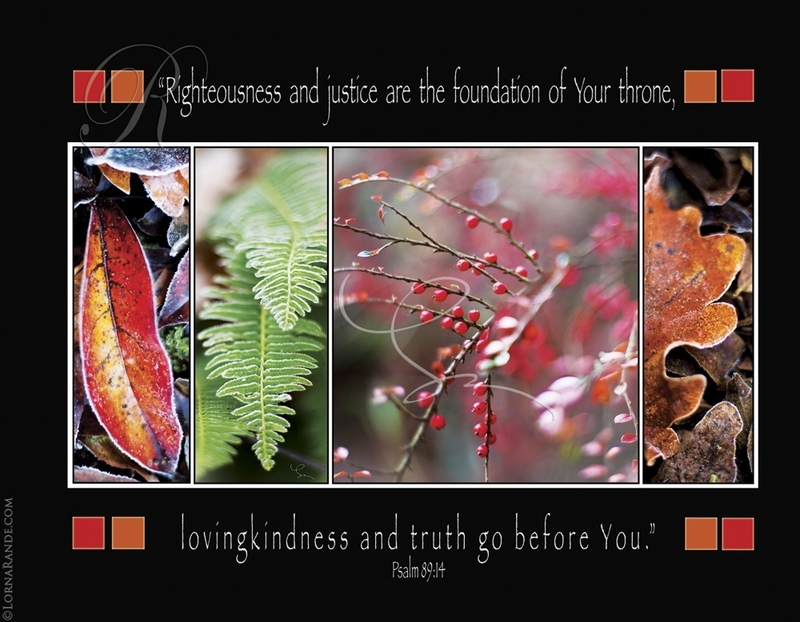 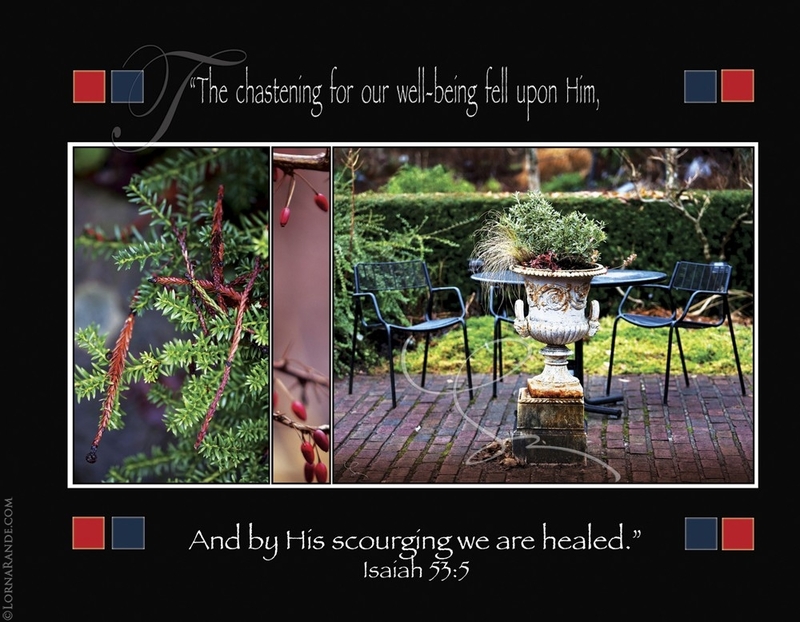 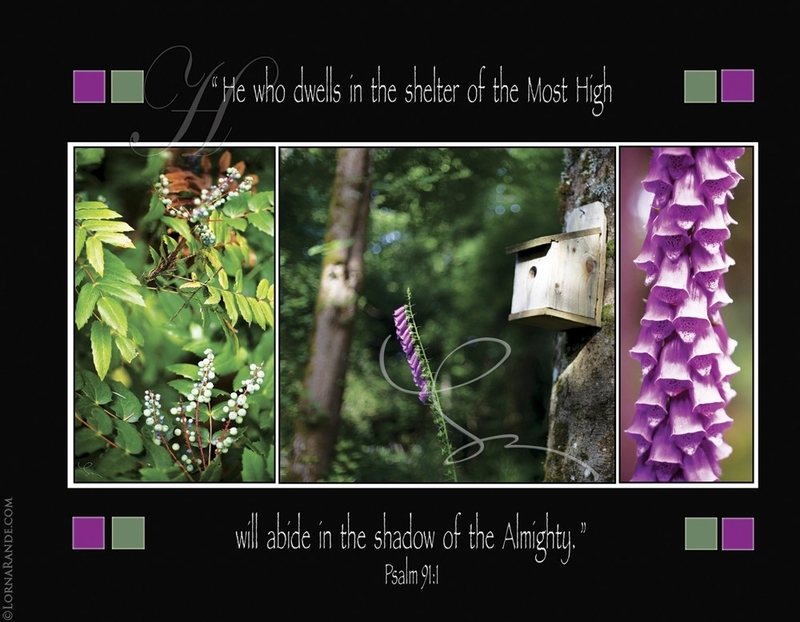 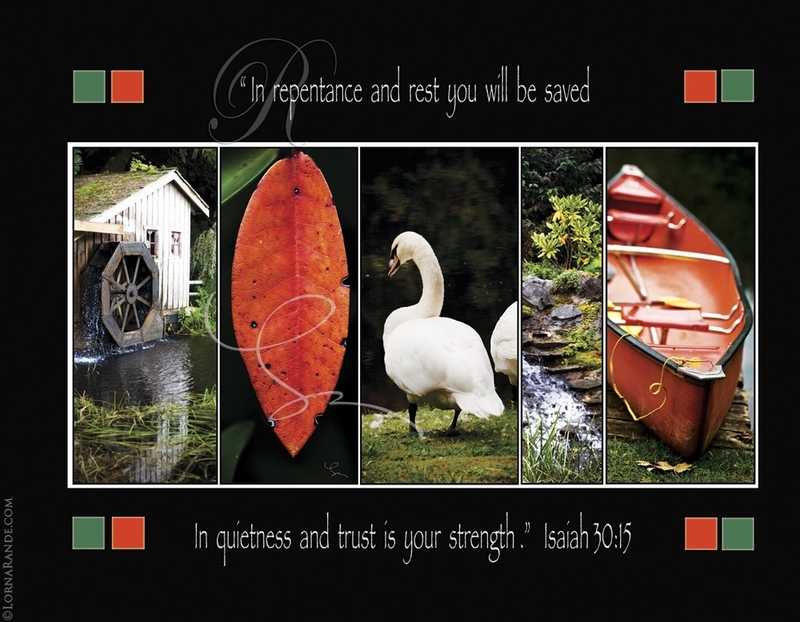 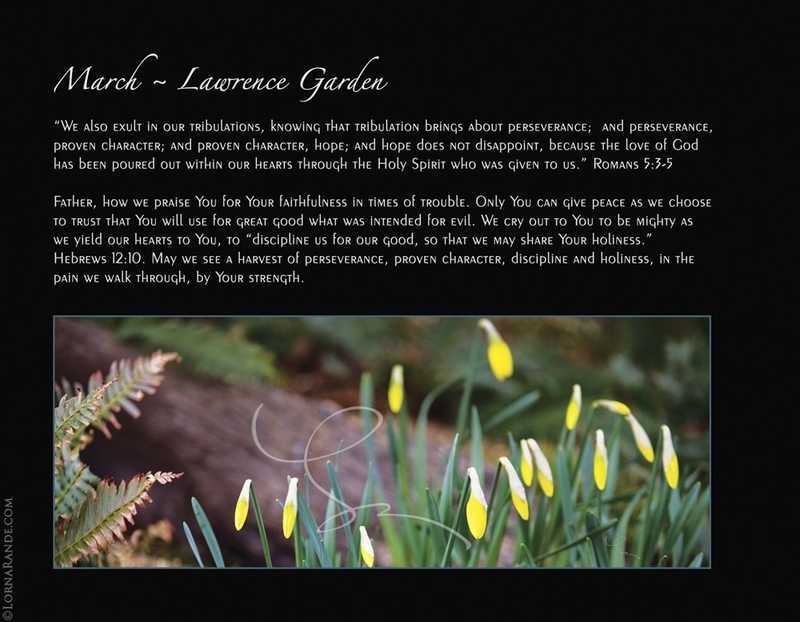 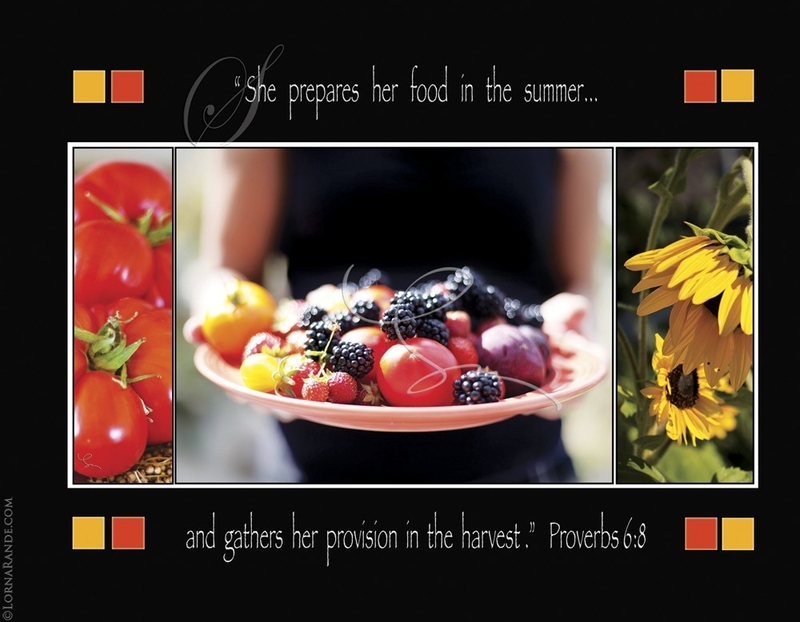 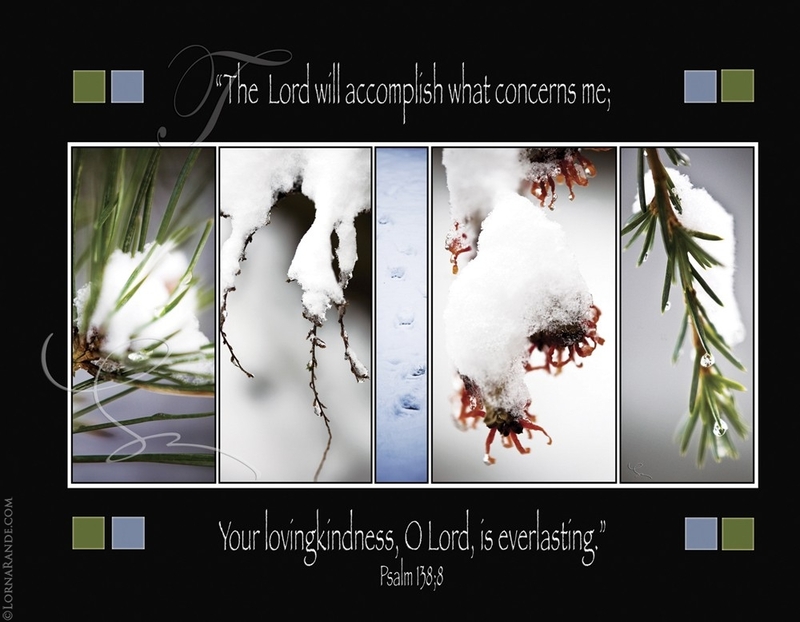 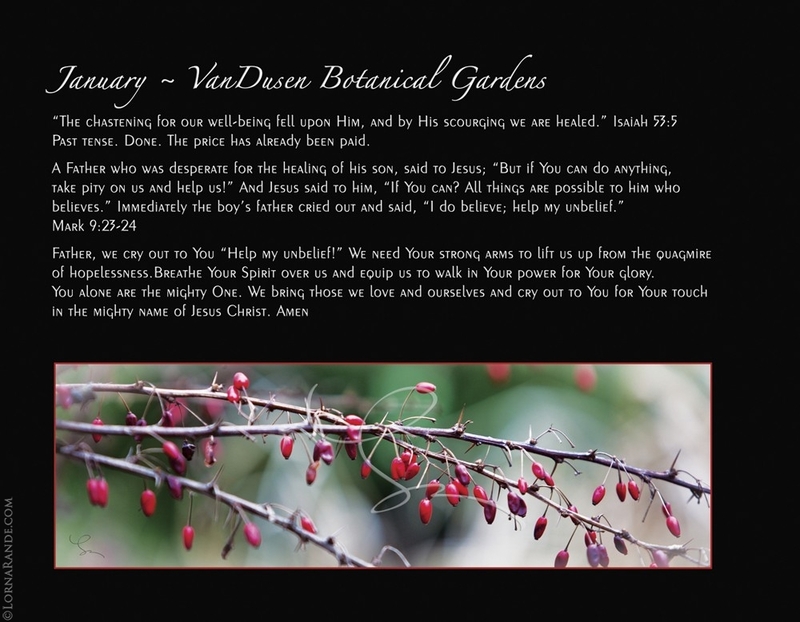 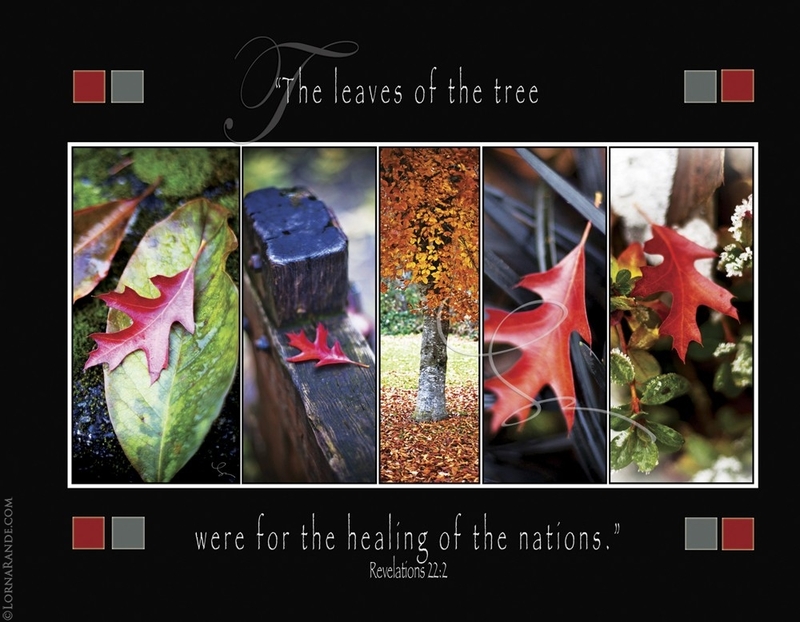 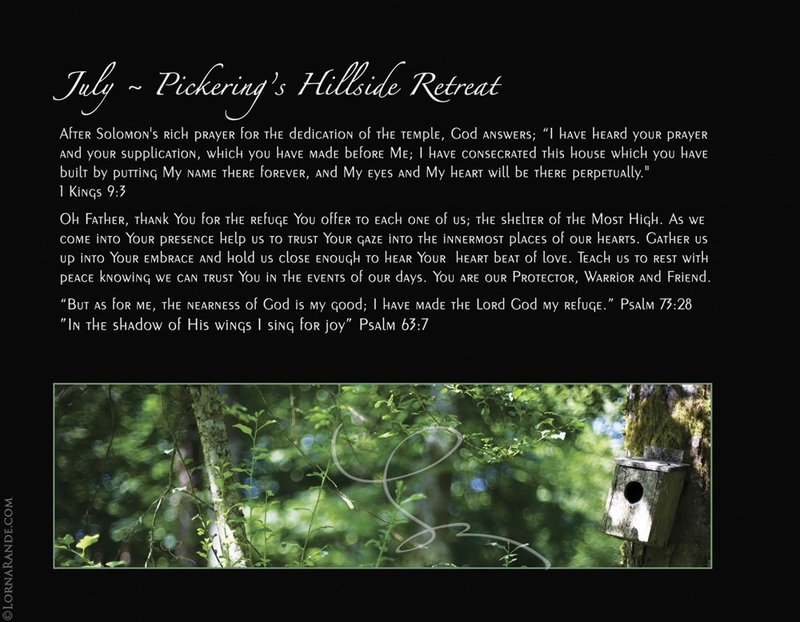 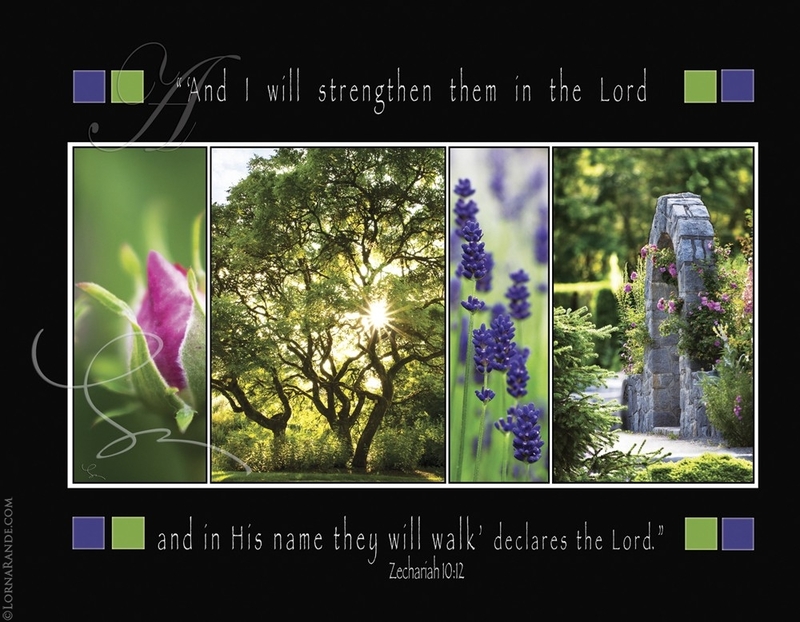 These images were to illustrate the verses that encouraged Lorna the most on her own journey. 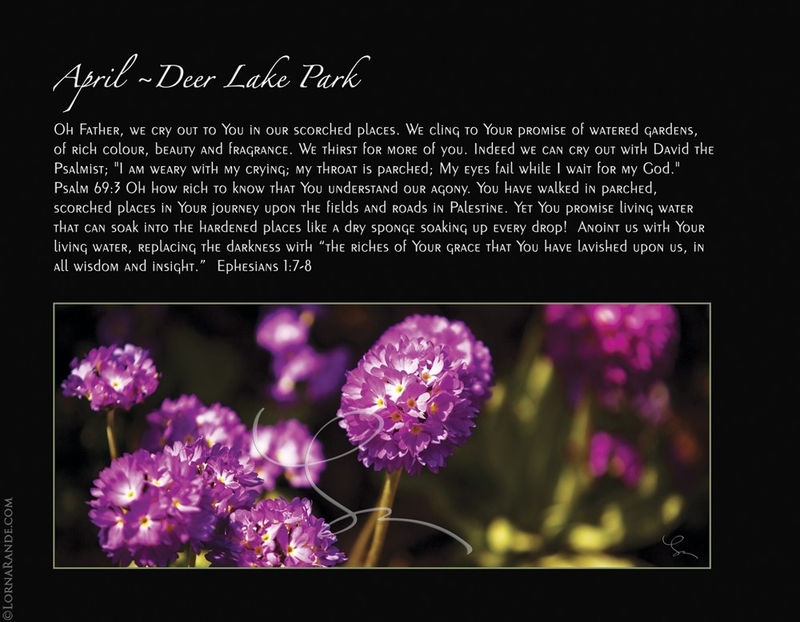 “Thank you” to the friend, who knew there was a book in Lorna, to be written! 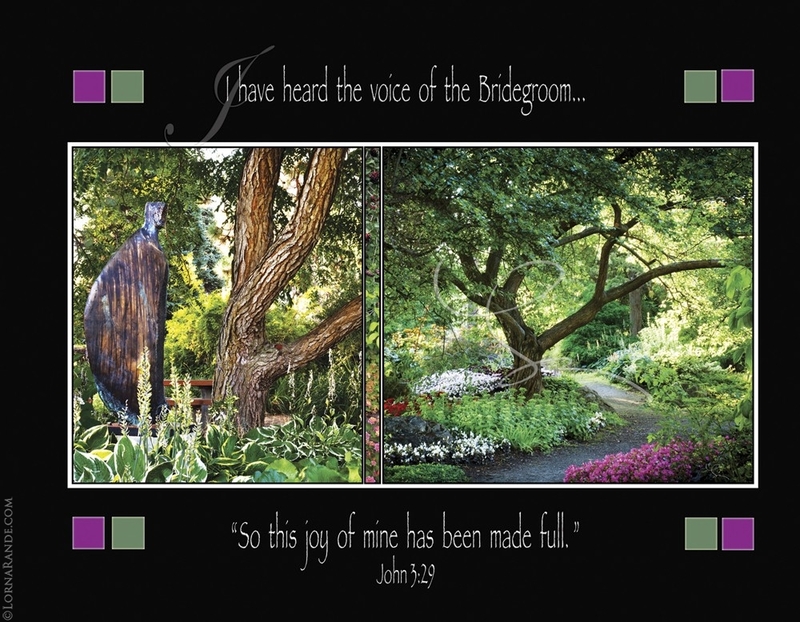 Contact Lorna at imagery4u@shaw.ca ~ if you have a special project in mind.